Summer is quickly (too quickly for me) wrapping up and that has me feeling some type of way. I’m typically good with season changes, especially summer to fall, because I really love dressing in fall fashions. But this year has been different. It seems the months just flew by and I’m not ready to say “see you later” just yet. Besides, I’m having so much fun wearing summer pieces and I’m really going to miss the off-the-shoulders, sheer prints, frilly frocks, strappy sandals, etc. 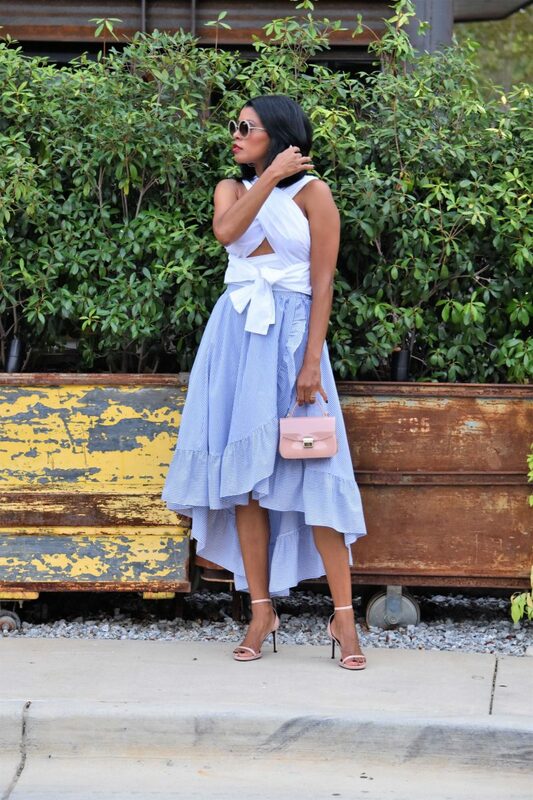 So…I’m dedicating this post, complete with all of my summer favs, to this fleeting season: my favorite colors to mix (white/blue/pink), my go-to shoes (strappy sandal) a great mini bag and my favorite staples (feminine top/flowy skirt). 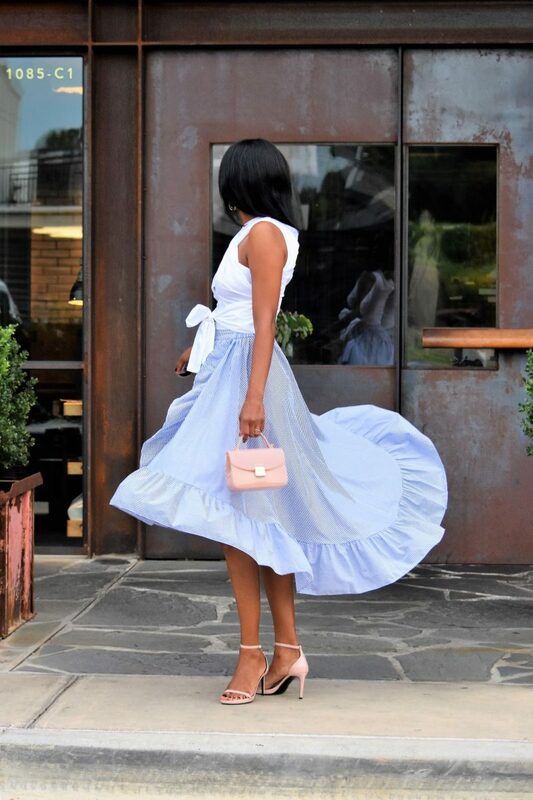 Ruffle skirts are at the top of the “it” list for summer pieces. They have been very popular past seasons and this season was no different. 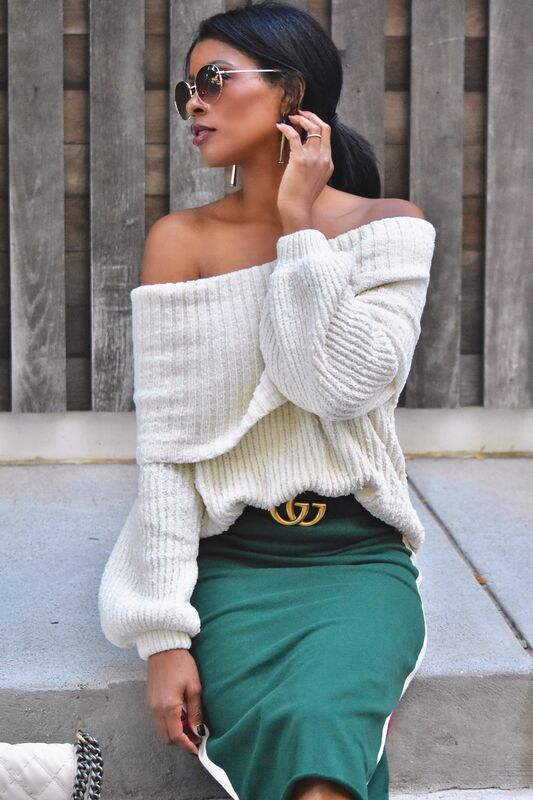 I love them because of their feminine appeal and how easy they are to style. They complement anything from a graphic Tee, a button down or a statement top (see post). What about shoes, you ask. Well, that’s just as easy. 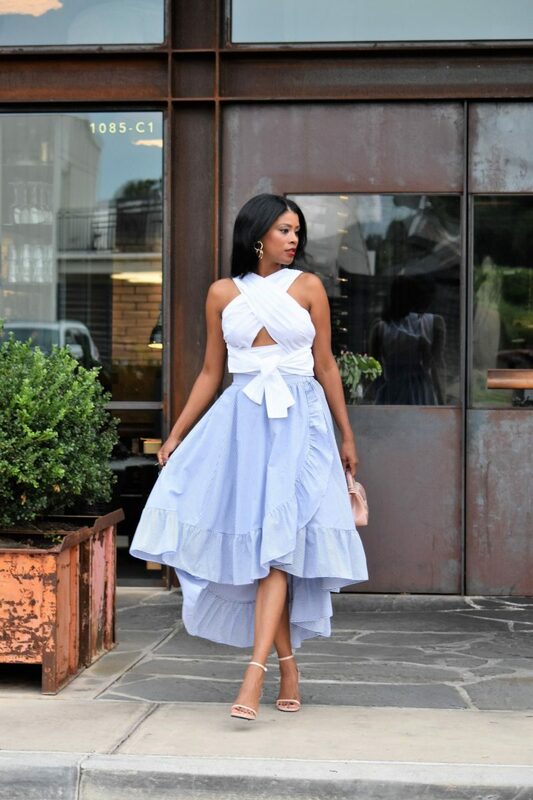 With a ruffled skirt, you can do a strappy sandal, a gladiator, a heel, or even sneakers. 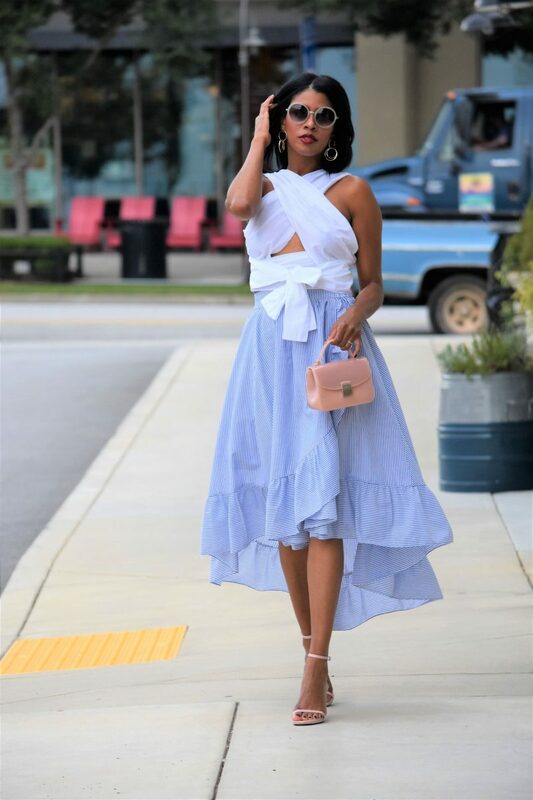 So when you want an easy, breezy summer look but also want to stands out, go for the ruffled skirt. Everything else will fall into place. Today’s look: blue and white striped ruffled skirt with white wrap top and pink strappy patent sandal with pink mini bag.